Do you really need an emergency electrician? Few things are as widely used in homes more than electricity. 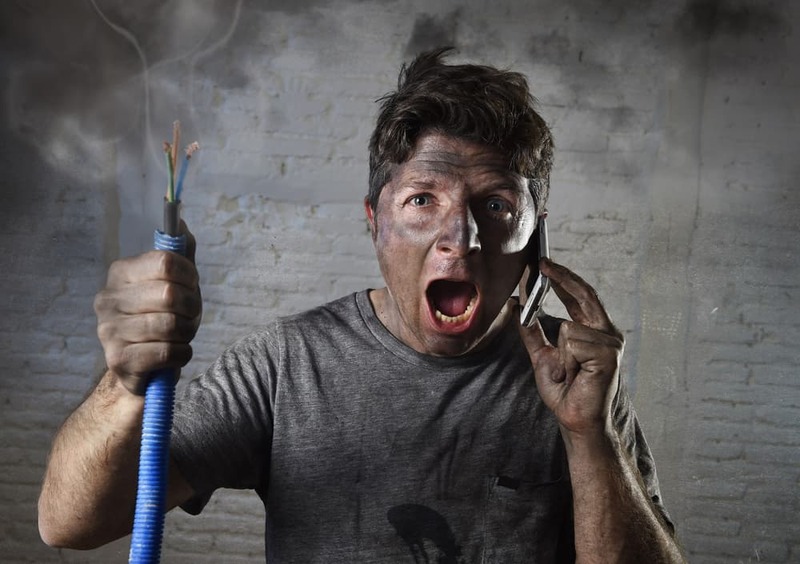 Sometimes it’s hard to know when to call an emergency electrician or just unplug an appliance. Electricity poses a significant health hazard for you and your home when it’s not handled safely. Next to natural gas, little in your home is as dangerous as working with electrical wires without the appropriate tools or know-how. An emergency electrician knows how to solve problems quickly and safely. Unless there’s a specific reason, a circuit breaker that shuts off frequently needs replacing, which will require an emergency electrician to keep your home running smoothly and safely. Causes could be a short circuit in the wiring in the walls or at an outlet. Depending on the issue, it may be more than just the circuit breaker that needs repair. Hot, burning rubber has an unmistakable odor and when you smell it, investigate it immediately. If it’s coming from a single source, unplug the appliance or device immediately. Smells coming from the circuit breaker box will require an emergency electrician. Either throw the main breaker for your home or turn off everything in your home and unplug power strips and surge protectors. An appliance whose electrical wiring overheats may or may not throw the breaker. The best thing to do is unplug the appliance after turning it off immediately and call the manufacturer’s customer service department. If the odor is coming from a dishwasher, open the door and look for something plastic on the heating element. Removing the object should clear the air. Otherwise, turn the circuit breaker to the dishwasher off and call an emergency electrician. Should you notice that an outlet or a switch has black smudges or smoke on it, contact an emergency electrician, especially if it’s a receptacle or switch you use frequently. Until it’s replaced, you should not use either the outlet or the switch. The black deposits could indicate overheating, which leads to unsafe wiring behind the faceplate. When the lights flicker or change their intensity, you may have an overloaded circuit. Running too many high voltage devices on the same circuit will probably overload it. If the lights dim but the breaker doesn’t trip, you may have a bad circuit breaker. After you call for an emergency electrician, take an inventory of how many electric devices are operating at the same time using the outlets on the circuit breaker. Some small appliances use substantial amounts of electricity, and to stay safe, avoid using too many on one circuit simultaneously. As a rule of thumb, anything that creates or removes heat (like hair dryers, microwaves, and window air conditioners), uses a lot of electricity. If you’re the only one on the block without any power, call Turn It On Electric for an emergency electrician after checking with SRP or APS for outages in your neighborhood. When these noises come from an appliance, they usually indicate a problem with the motor or frozen bearings. However, when the noises come from the circuit breaker panel, it signals a dangerous situation. A breaker may be stuck and can’t turn the circuit off, which causes the wires to overheat and could possibly start a fire. Turn off the main breaker and call an emergency electrician to troubleshoot the problem. If you’re in doubt about whether or not you need an emergency electrician, it’s better to be on the safe side and call Turn It On Electric.